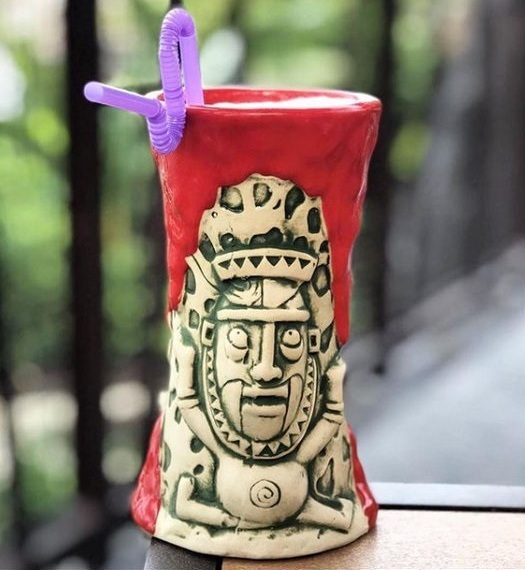 Trader Sam’s Grog Grotto in Disney World’s Polynesian Village Resort is now serving Krakatoa Punch in the newest edition of the Krakatoa souvenir glass. 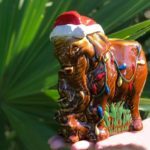 The photo above (@mugs_of_disney) shows that the basic look, of course, remains the same; however, an updated color wash shows more green and a brighter red. The Krakatoa glass is the vessel for Krakatoa Punch: Sailor Jerry Spiced Rum, Pyrat XO Reserve Rum, Orgeat (almond), Sam’s Gorilla Grog, and hibiscus grenadine. 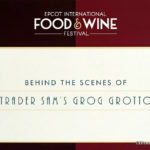 Take a peek inside Trader Sam’s Grog Grotto in our Polynesian Village Resort Food Tour from our DFB YouTube Channel! 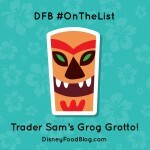 ﻿ Are you a collector of the souvenir glasses at Trader’s Sam’s? Please let us know with a comment! NEWS! 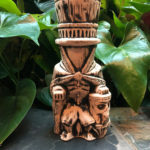 Limited Edition Hatbox Ghost Tiki Mug Spotted at Disney World’s Trader Sam’s, Plus a New Drink! 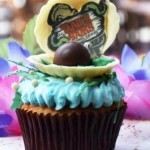 Grab an Anniversary Cupcake at Trader Sam’s Grog Grotto… But ACT FAST! « Review: NEW Chocolate-Covered Raspberry Hearts at Disneyland!